Flippinflips Facebook post hit the ignorance of Fr. 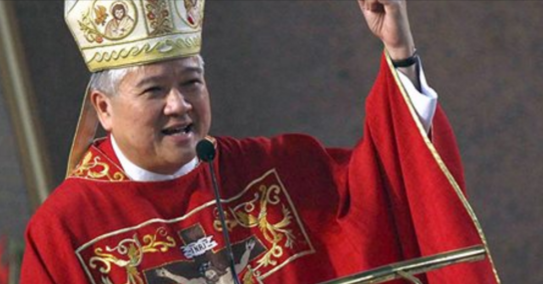 Villegas of CBCP. According to the page post, this priest inventing up and making false beliefs, mind conditioning to control the people and scare the masses. How desperate, this their way to insist their own personal interest, full of lies because they are against of President Duterte government. WAG MO KAMING HATAKIN PABABA SA KABOBOHAN MO! AT KAYO KAYONG MGA BOBO NAG-UUTUAN NG INYONG PAGIGING INUTIL SA BATAS AT CONSTITUTION!.... AMEN! this soc villegas monster must be disrobed immediately! Hoy bobo alam mo ba talaga ang separation of the church and the state. Ikaw ang tanga.